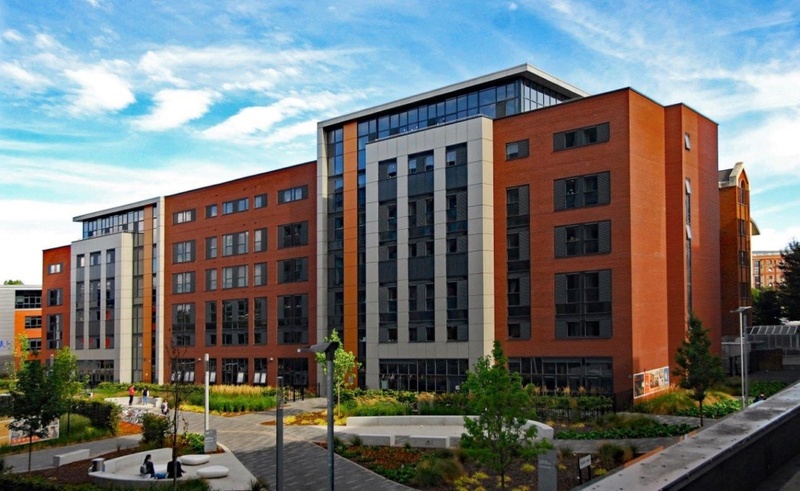 Capital Quarter Cardiff student accommodation is a sterling example of premium architecture that is practical without compromising on quality. The project brings together an impressive collection of multi-functional systems from architectural aluminium systems’ company, Metal Technology. 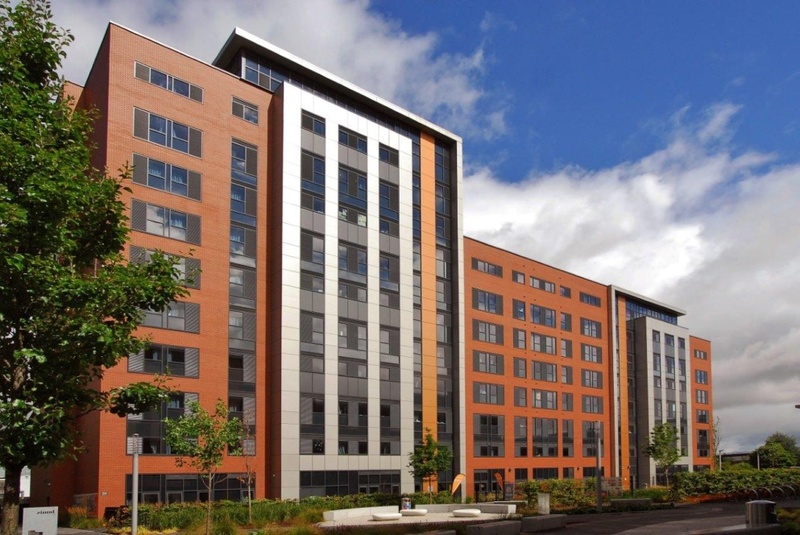 Located in the centre of Cardiff the development spans an impressive 140,000 sq ft and consists of two multi-level blocks linked by an attractive architect-designed landscape scheme. Providing a mix of studio and cluster accommodation, the two blocks are made up of 544 self-contained rooms in total. With a project value of approx. 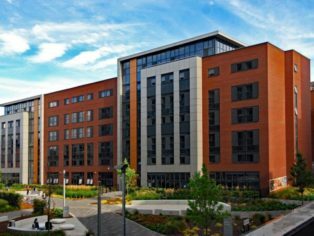 £1.725million the accommodation features Metal Technology’s System 17 capped curtain walling with a combination of System 5-35HI+ tilt and turn windows and System 4-35 Hi+ thermally enhanced Casement windows. System 5-20D Hi+ thermally enhanced door systems are also used alongside System 10 commercial doors. A bespoke louvre system helped ensure adequate shading was achieved while providing a safe environment even when the windows are fully opened. 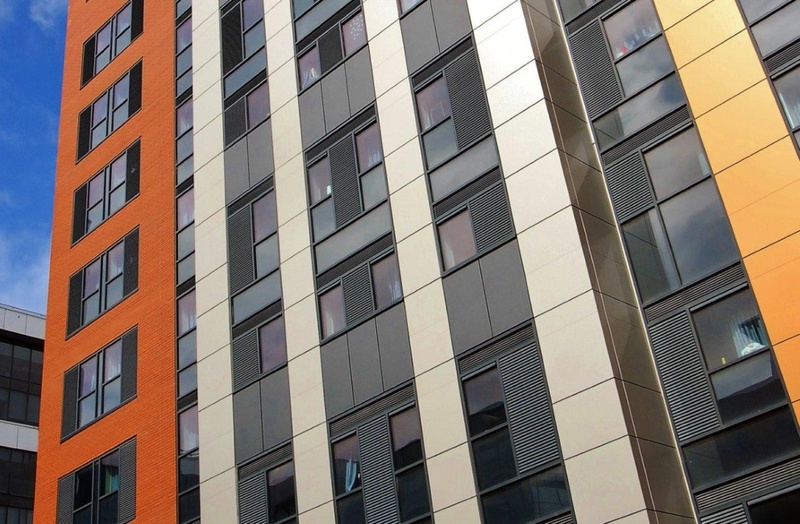 “Metal Technology’s state-of-the-art windows and doors were the perfect fit for this student accommodation project from an installation perspective due to the system’s ability to be quickly but efficiently designed, fabricated and shipped to site. This allows our installers to be utilised more efficiently and effectively across all of our current live sites. All Metal Technology systems are designed to perform seamlessly together to deliver the desired aesthetic and performance standards. Used individually or together, they offer complete design flexibility for creative aesthetics with the assurance of value engineered structural, weather and security performance.